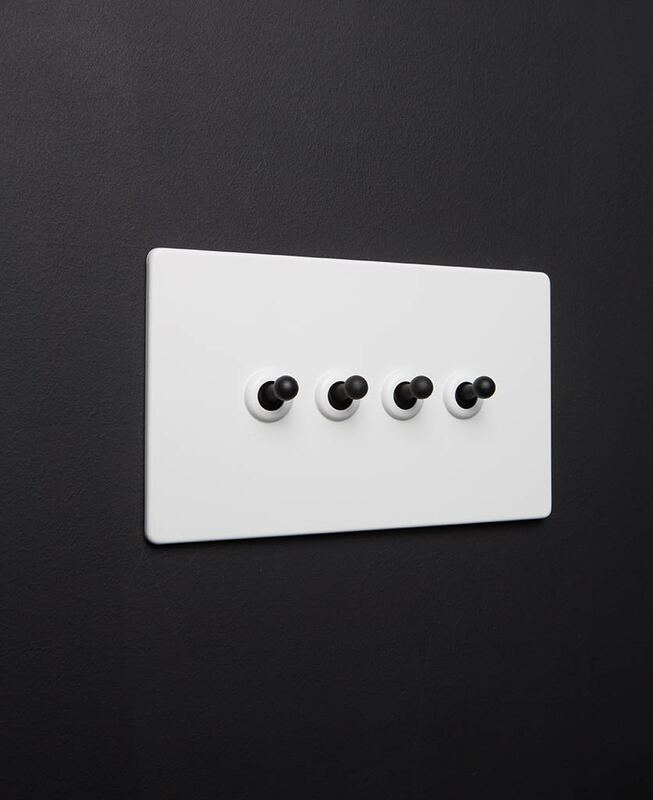 Our white quadruple toggle switch is a gorgeously minimalist light switch. Featuring sleek metal toggles, this retro satin white switch adds sophistication to an industrially styled interior. For a luxe vibe, opt for gold, white or silver toggles and coordinate with matching dimmers, plug sockets and Sleek USB ports for ultimate elegance. Beautiful. 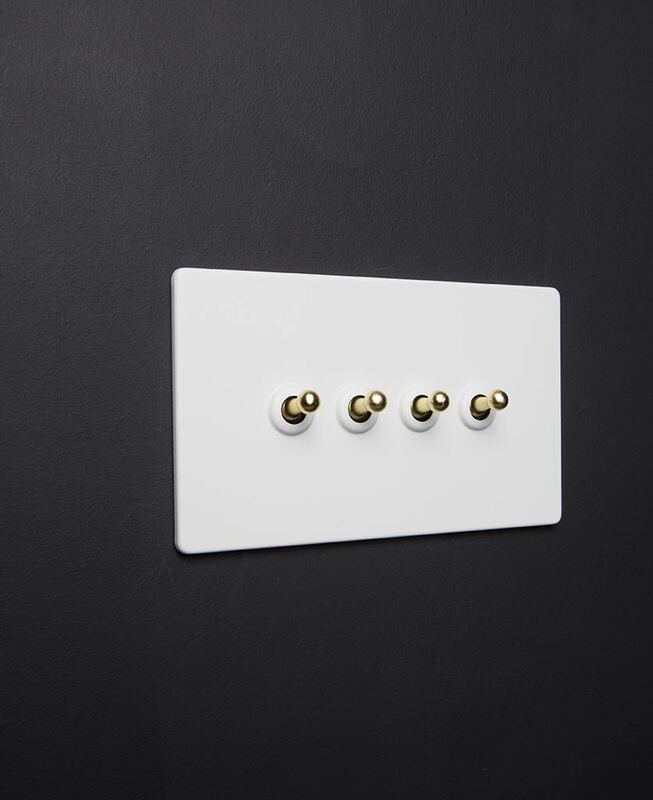 Our toggle light switch 4 toggle white is a quadruple toggle switch with a sleek white satin plate and a choice of brass, silver or black toggles. This stunning toggle switch is LED compatible and has concealed fittings for a neat finish – perfect. We love this contemporary toggle switch in a white minimalist interior, where the contrasting toggles can really shine. 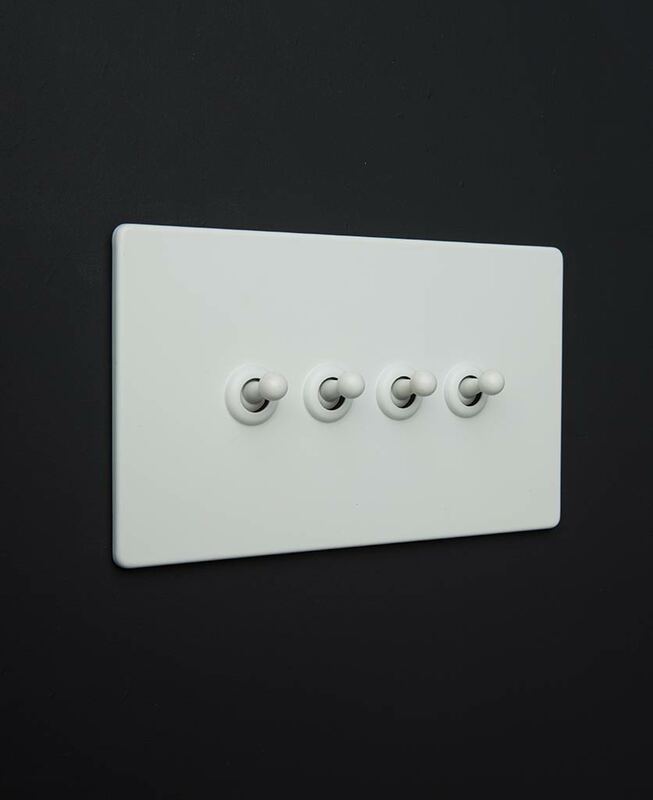 These retro toggles add texture to a monochromatic room creating an understated yet sophisticated aesthetic. 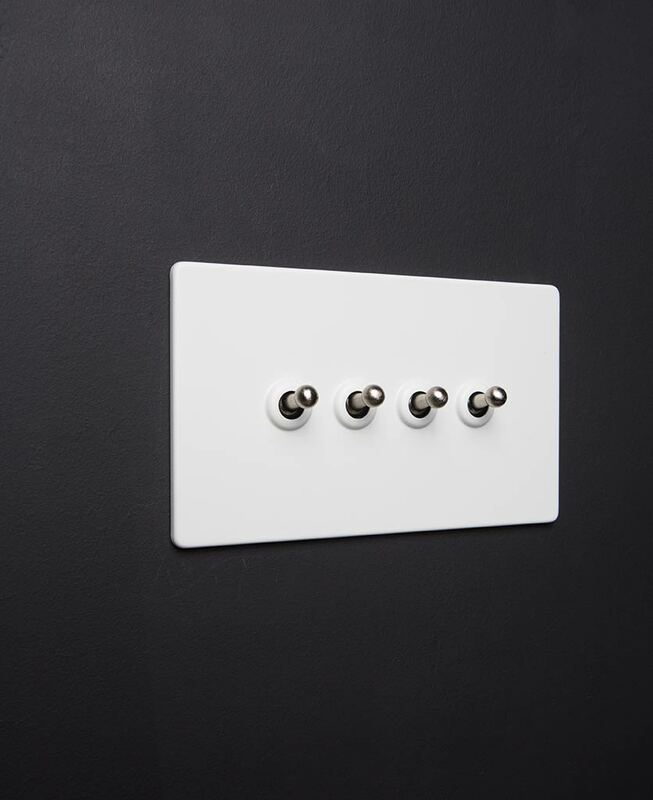 Exclusively designed as part of our white switches and dimmers collection this toggle switch coordinates perfectly with an industrially styled home. Mix and match our range of appliance switches, USB ports and plug sockets for a truly polished vibe – with a hint of vintage design thrown in for good measure.